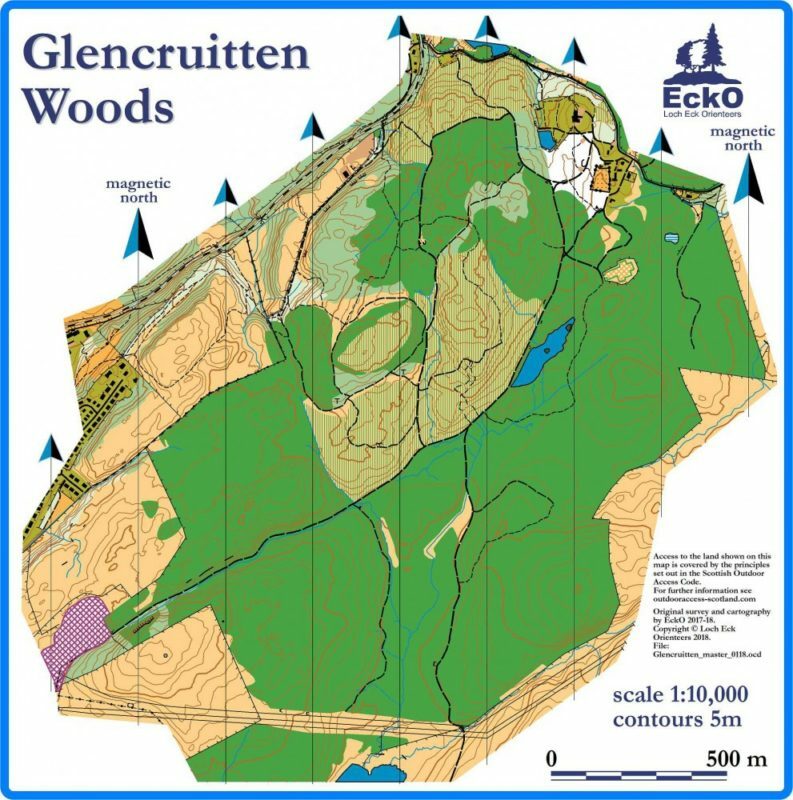 A new area to orienteering located on the edge of Oban, Glencruitten Woods is a spruce plantation with a good network of forest roads, old tracks and trails created by mountain bikers which makes for classic path and track based orienteering. The area sits on a hill above Glencruitten and the town and there are good views of Oban and the bay from parts of the area. Most of the forested areas have yet to be mapped and have potential for some runnable forest with interesting contour features.